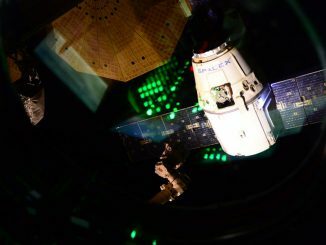 SpaceX’s Dragon supply ship reached the International Space Station on Wednesday, with astronaut Jeff Williams grappling the unpiloted spacecraft with the research lab’s robotic arm at 6:56 a.m. EDT (1056 GMT) after an automated rendezvous. 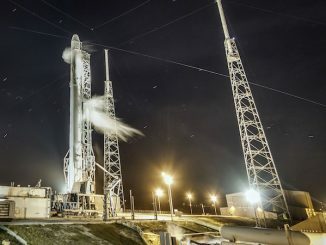 Forecasters predict mostly clear skies and light winds at the surface and aloft for Monday’s launch of a SpaceX Falcon 9 rocket on a resupply mission to the International Space Station, favorable conditions for the booster’s liftoff and landing at Cape Canaveral. 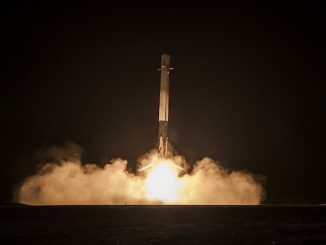 The next chance for SpaceX to return a Falcon 9 booster to landing at Cape Canaveral will come in mid-July, when the company plans to launch a Dragon supply ship to the International Space Station, a company official said Tuesday. 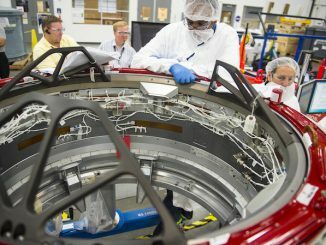 Spare parts warehoused in the the United States and Russia will help Boeing finish assembly of a third space station docking port to receive arriving astronauts aboard Boeing’s CST-100 Starliner and SpaceX’s Crew Dragon capsules, replacing a unit lost in a Falcon 9 launch failure last year.